This top floor condo comes with a free firework show every Sunday night during the Summer and includes one of the best seats in the house for the 4th of July celebration! Imagine living in this beautiful unit where you will enjoy beautiful and peaceful views of the wide canal and on Sunday evenings it is transformed into your own personal fireworks show that is enjoyed from the comfort of your own balcony! You'll love this extremely well-maintained unit with its numerous updates. The unit features a beautiful kitchen with stainless steel appliances, granite counter tops and is ready for all your culinary creations. The dining area has a new kitchen table and stools. The living room area has a newer sofa along with new coffee and side tales. There is beautiful Berber carpet throughout and new flooring in the kitchen and bathrooms. Conveniently located to North Side Park, it is a great location for families that are participating in events there. You'll also be close to many great restaurants/bars, mini golf, go carts, water slides, movies and of course the fireworks. The building is located about 2 blocks to one of the widest beaches in Ocean City and gives you plenty of room to spread out. 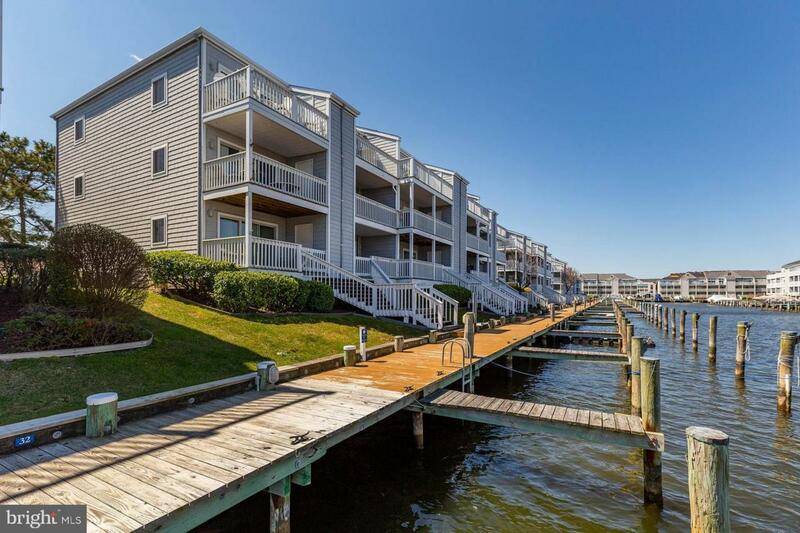 When you are tired of the beach, come back and enjoy the pool or take your boat out from the dock located just below your unit. Sold furnished with minimal exclusions. Buyer must honor all rentals already booked! Easy to show and sell! !